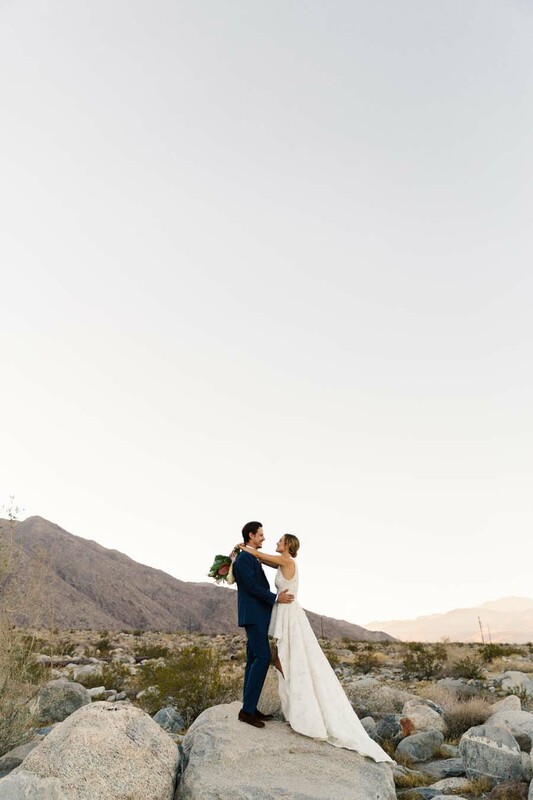 When Mia and Jamie told us about their vision for a modern wedding in the desert, we couldn't wait to get started! Mia and Jamie met at a party in New York and now live together in Hong Kong. They wanted to create an intimate weekend getaway for their international and local guests. They selected the Colony Palms Hotel in Palm Springs for it's iconic style and relaxed vibe. Mia is super creative and was very involved in the planning process. Everything was personalized for the big day, from her custom made wedding dress to handmade lucite invitations. She even made sure to include a health conscious menu of her guests because she is a health coach and creator of her lifestyle blog, RASA. 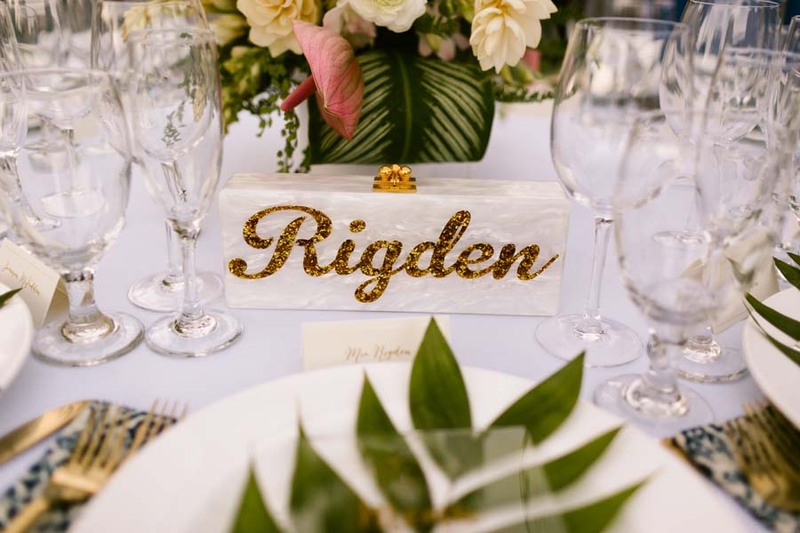 We loved the attention to all of the (stylish) details on this wedding! Janelle at Lavender's Flowers was given lots of creative freedom with the floral design.. She mixed plants native to the desert like palm leaves and desert flowers, but she mixed them with classic blooms like white peonies. Our favorite was Mia's stunning bouquet, which was a modern twist on a classic shape. Julia Robbs, a well-known fashion photographer from NYC, documented every stylized detail and crazy dance move. She did a fantastic job capturing Jamie and Mia's free spirit personalities and rad style! We hope you enjoy re-living this magical day as much as we loved planning it.